This article on the NYRB website by Ian Johnson, one of the first I’ve seen, describes the rescue and piecing together of these ancient bamboo manuscripts (like the Vindalia bark manuscripts from the UK), called the Tsinghua slips, the understanding Chinese culture as well as early literacy and recording of texts in ancient China. If the dating holds up, these manuscripts may push back the dates of early texts like the Tao te Ching. As Johnson notes, “The manuscripts’ importance stems from their particular antiquity. Carbon dating places their burial at about 300 BCE…the height of the Warring States Period, an era of turmoil…” which was also a period of intellectual ferment and the development of China’s great intellectual schools were developing, including Confucianism, Daoism (Taoism), Legalism, and Mohism. Despite questions of authenticity and ethics (in supporting looting), the manuscripts were acquired for Tsinghua University in Beijing. Apparently the manuscripts represented a conservation nightmare–they were waterlogged and, when transferred to water baths, developed mold. The fuller story is in Johnson’s review. In 1993, tomb robbers were thwarted in the village of Guodian, in central China’s Hubei province. Archaeologists stepped in and found eight hundred bamboo slips. 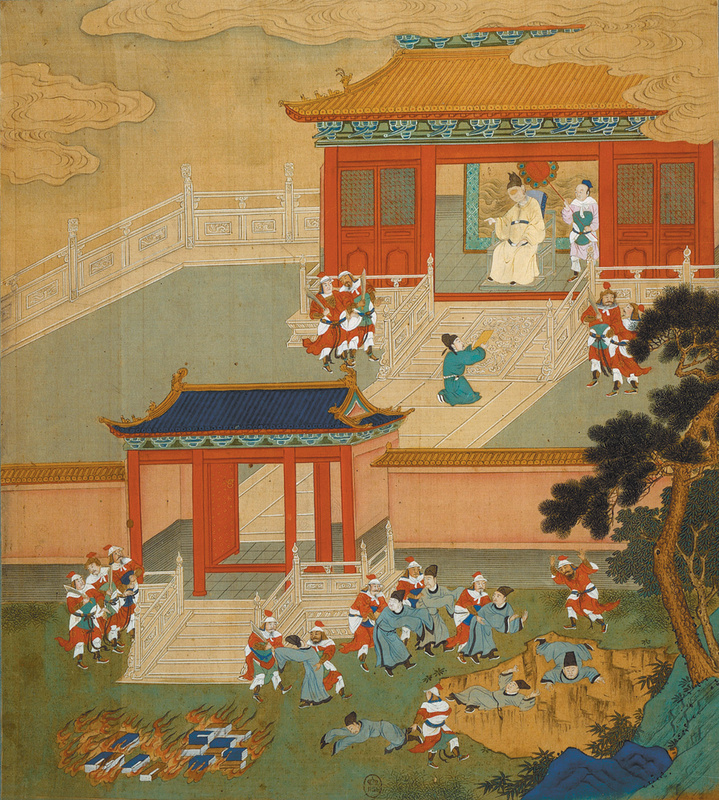 The next year, 1,200 slips were smuggled to Hong Kong and bought by the Shanghai Museum. The Tsinghua strips followed in 2008, numbering nearly two thousand full slips (the final number is in flux as fragments are being pieced together). All three finds likely came from the same region of China near the Yangtze that used to be occupied by the state of Chu. Carbon dating shows that all three were buried around 300 BCE, right around the time that Confucius’s chief disciple, Mencius, died. Read the entire article at the New York Review of Books website.